In his carefully taken snapshots Thierry Clech is telling me more about one of the world's largest cities than any travel guide or book. The proper city of Istanbul has over 11 million inhabitants making it the fourth biggest in the world. What a challenge to depict such a place! I am impressed by the vision of Thierry, he seems to find things to photograph everywhere, his camera work is fabolous. Thierry says that Jacques Tati is a source of inspiration to him. I am not surprised-watching his pictures sometimes leaves me with a "Tati feeling". 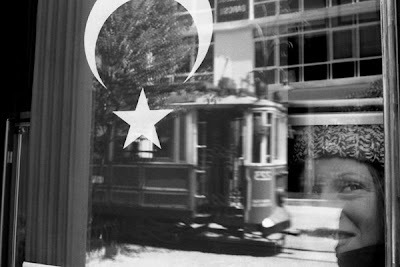 "Istanbul" is about relations, about man and woman, about people...about love. Latest exhibition: 2007 (Press Club de France - Paris). 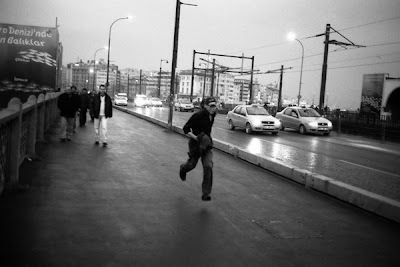 Coming exhibition: April 2009 in Lacanau (France) entitled "In my street." Film, digital or both: film, exclusively. 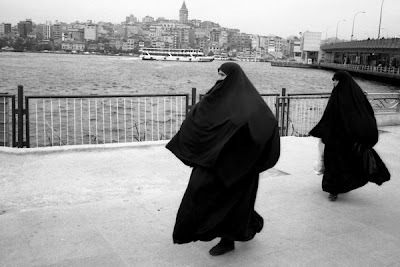 Some real good street photography! 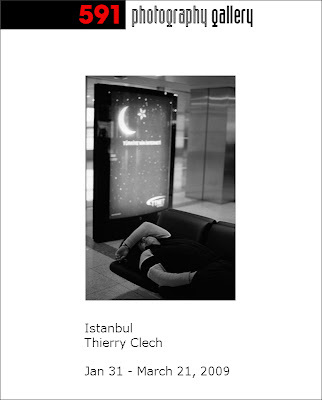 I always find a lots of poetry in Thierry Clech's photos ! and i'm waiting for a new book ! wonderful series of photographs. They give such a feeling of place! This proves that street photography is alive and kicking!